“In the early 1980s, I lived and worked in Gloucester and undertook numerous outings to the Welsh Marches to walk and watch wildlife. 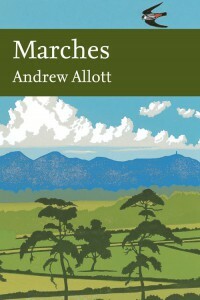 So Andrew Allott’s book “Marches” has been eagerly awaited. It is a superb, masterly addition to the New Naturalists series. Here we have a comprehensive account of the region, which is meticulously researched and thoughtfully detailed. The text includes examples to illustrate the wider context and the themes of the chapters. Mr Allott makes very good use of local sources and resources for much of these, such as the charming reference to the work done by a local primary school (p.75) and other local people, communities and wildlife groups. This is absolutely the right approach as it embeds the book in the region it describes. The book is well structured; the first chapter invites us to take a “tour” of the region’s main, distinctive topographical areas which serve as a scaffold for the following chapters, whose themes take in the unique and chararcteristic features of the Border landscape arising within the topographical areas. Mr Allott writes in an interesting and flowing style. It is well structured. His attention to detail is woven seamlessly into the overview, the carefully chosen examples serve as fascinating insights into the natural history of the region. The chapters cover the expected themes but include up-to-date analysis and review of nature conservation, farming, land-use changes and local development and management, and outline lessons learned and issues for the future. I found myself thinking that the lessons learned in the Marches region could well be applied elsewhere too! My only niggles are in the editing of the book. Trying to fit some of the figures on to one page renders some of the detail too small to read (making it almost meaningless), or makes the use of colour-coding difficult to differentiate. There are inconsistencies too: why, for example, provide Figs 16 or 104 with a colour key, yet not Figs 81 and 82? For the latter, the reader has to wade through text which explains the colour. On p41 we have an ambiguous paragraph which, on first reading, makes it seem that a new set of semi-natural squatters have returned to the Clee Hills. I suspect that the word “vegetation” has been omitted after the word “semi-natural”! Perhaps trying to publish three New Naturalist titles a year is having a negative effect on the editing. From the minutiae of Plant Galls (Volume 117), the next in the New Naturalist series takes us into large-scale regional natural history. The plentiful illustrations, photographs and diagrams complement the natural history making this a full and satisfying survey of the area. Andrew Allott studied Botany at Oxford University and then became a schoolmaster, teaching initially in Canterbury and then at Shrewsbury School in Shropshire, where he is now Head of Biology. Although an incomer to the Marches, Andrew Allott has developed a deep love of the landscape, geology, flora and fauna of the area. He has also developed great respect for the many talented amateur naturalists and the professional scientists whose work is doing so much to explain the natural history of the Marches and to promote its conservation. Ian Newton is the author of numerous ornithological books and scientific papers including the famous New Naturalist Finches (Vol. 55). His recent best-selling titles include: The Migration Ecology of Birds, Population Limitation in Birds and Speciation and Biogeography of Birds. Now Ian returns to Collins New Naturalist series with Volume 113 Bird Migration – this will be published in early April. The phenomenon of bird migration has fascinated people from time immemorial. The arrivals and departures of different species marked the seasons, heralding spring and autumn, and providing a reliable calendar long before anything better became available. Migration is shown by many kinds of animals, including butterflies and other insects, mammals, marine turtles and fish, but in none is it as extensively developed as in birds. The collective travel routes of birds span almost the entire globe, with some extreme return journeys covering more than 30,000 km. As a result of migration, bird distributions are continually changing – in regular seasonal patterns, and on local, regional or global scales. Migration has repeatedly prompted familiar questions, such as where birds go or come from, why do they do it, how do they know when and where to travel, and how do they find their way? In this seminal new book, Ian Newton sets out to answer these – and other – questions. The book is divided into four main sections: the first is introductory, describing the different types of bird movements, methods of study, and the main migration patterns seen around the British Isles; the second part is concerned mainly with the process of migration – with timing, energy needs, weather effects and navigation; the third with evolution and change in migratory behaviour; and the fourth with the geographical and ecological aspects of bird movements. The glories of the world’s flora and fauna are captured in this autumn’s new art and photography titles, including Picturing Plants, Art of the New Naturalists, and Living Landscapes. 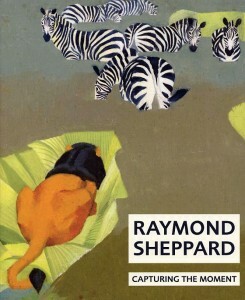 Capturing the Moment is the latest title in the Wildlife Art Series from Langford Press, featuring the work of Raymond Sheppard – a superb wildlife artist and draughtsman. Don’t miss Perry’s Arcana – a rare gem of botanical illustration, first published as a lavishly illustrated magazine series in 1810-1811 and now revived for your browsing pleasure. Volume #110 in the legendary New Naturalist series has now arrived at NHBS. Wildfowl provides a much-anticipated overview of the fascinating birds that have become icons of our diminishing wilderness areas. David Cabot has been obsessed with wildfowl for nearly sixty years; in this seminal new work, he discusses the 56 species of wildfowl that have been recorded either in a natural state, or that have been introduced and now maintain self-sustaining populations in Britain and Ireland. Order your copy of Wildfowl today – and save Â£11! The latest volume in the classic New Naturalist series, Wildfowl provides a much-anticipated overview of the fascinating birds that have become icons of our diminishing wilderness areas. Wildfowl (New Naturalist #110) will be published in May 2009 – Order today and save Â£11! England’s Landscape – Save 60% in Our Backlist Bargains Sale! Don’t miss our amazing special offer on the England’s Landscape books from English Heritage – these classic references are now 60% off! (sale ends 31 March 2009). Regional titles in the England’s Landscape series include The North West, The North East, The West Midlands, The East Midlands, The West, The South West, East Anglia, and The South East. Order now for big savings! Several New Naturalist volumes are featured in our annual Backlist Bargains sale, including Garden Natural History, The Isles of Scilly and Britain’s Structure and Scenery. Take advantage of these great deals before they disappear (sale ends 31 March 2009) – save up to 60% on more than 2600 wildlife, environment and natural history titles! Author KatherinePosted on 16th February 2009 16th February 2009 Categories Special Offers, Title InformationTags Backlist Bargains, East Anglia, England, Midlands, new naturalist, North East, North West, Scotland, Wales, West1 Comment on England’s Landscape – Save 60% in Our Backlist Bargains Sale! 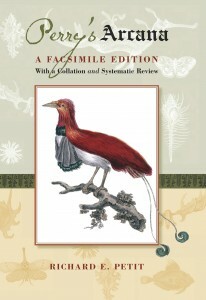 The latest volume from the classic Collins New Naturalist series will be here soon! In his fourth New Naturalist volume, Professor R. J. Berry takes a broad look at the islands that lie off the shore of Britain and Ireland, exploring their biology, geography, geology and climate, and examining changes that have occurred in the past and how these become relevant for future developments. Laced throughout with Professor Berry’s expertise and enthusiasm, this all-encompassing, engrossing volume is a lyrical journey of the islands that shape our imagination and our awareness. Islands will be published in early February 2009. Order now and save 22% (special offer until 30/04/2009). For collectable books it is reassuring to know that you will automatically receive the first edition of each new book in a series, at the special offer price. Our Customer Services team can set up the standing order for you, and your credit card only gets charged the day each of the volumes goes out to you. Standing orders are especially popular for the New Naturalist and Handbook of the Bird of the World series. A standing order can be set up by email or phone; please quote your NHBS customer number. You can also pre-order any individual title before it is published; we will send it to you as soon as it arrives at our warehouse. Author KatherinePosted on 5th January 2009 23rd January 2009 Categories Bestsellers, Get More from NHBS, Title InformationTags Birds of the World, Inside NHBS, Mammals of the World, new naturalist, standing orders1 Comment on What Is a Standing Order?